Amendments agreed upon by the Security Committee of the Consultative Assembly of Saudi Arabia (Shura Council), and the Expert Council of the Council of Ministers, have made the promise of bribery and even if it has not been accepted into the anti-bribery law and provided for punishment for a term not exceeding ten years and a fine not exceeding one million Saudi riyals or one of these penalties. The Committee amended article no.8 of this law by including employees and members of private organizations of public benefit, heads and members of their boards of directors and employees of international institutions and organizations in relation to the conduct of international businesses, to the categories found by the anti-bribery project as public officials while applying this law. "Riyadh" has been informed about the addition of two new articles to the anti-bribery law. The first article provides a penalty of up to five years' imprisonment or a fine of not more than half a million riyals or both, and deeming him as a briber, to every person promising or offering a grant to any person working in the private associations, cooperatives, civil society institutions, companies, private institutions or professional bodies in any capacity whatsoever, whether for the benefit of the person himself or for others, to perform any of the functions of his job or to refrain from performing any of the functions of his job, a matter which constitutes a breach of his professional duties. He is deemed bribed any person who works in civil associations, cooperatives, companies, private institutions or professional bodies, in any capacity whatsoever, asked for himself or for another person, or accepted or had a promise or a gift to perform any of his job functions or refrain from performing the functions of his job,. A report issued by the Security Committee of the Shura Council confirmed that many NGOs and cooperatives have large budgets and carry out activities and projects that serve a broad sector of the society, as well as with the civil associations and institutions, although these entities do not enter into the concept of public benefit associations. The provision that persons and bodies to be included in the criminal description of bribery in the private sector and adding them to the provisions of the anti-bribery law goes in line with fighting against corruption as a whole, especially in charity, cooperative and professional activities, in which supporters and shareholders expect a high level of integrity. The Committee found that the proposed amendments approved by the Shura Council in last Monday session, and that stressed its importance in protecting the public utilities from corruption by all means, which achieves, at the same time, the integrity of the procedures of fight, reasoning, investigation and trial in the event of committing any of the crimes stipulated in the law, establish the concept of the sanctity of the job and protect it from attack through the application of the most severe penalties, whether they are financial or moral and protect the interests of the State and the national economy by adding the private employee into the anti-bribery law, confirming standards of integrity and transparency, increasing the efficiency of administrative bodies and activating economic development programs And the report of the security committee that the economic and social programs. The Security Committee's report emphasized that private companies and institutions are, by nature, of a special moral character, and occupy an important economic position, and is a key component of the Kingdom's Vision. 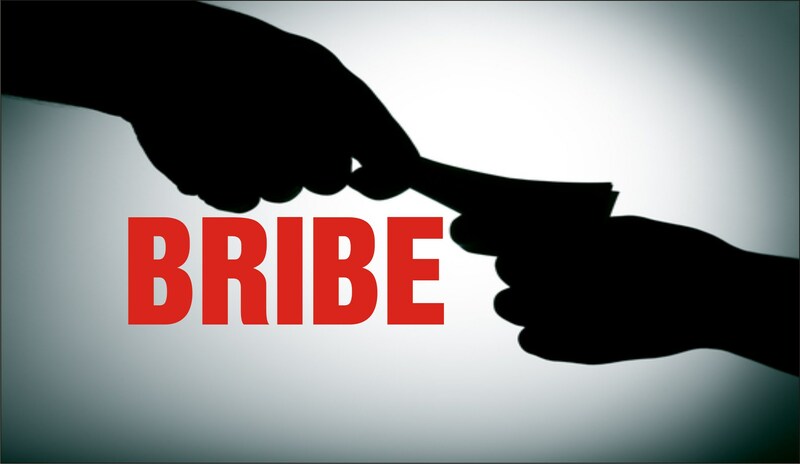 According to article no.8 of the anti-bribery law, he is deemed a public official, in the application of the provisions of the law, any person who works for the State or for bodies of public moral character, whether permanently or temporarily. Any arbiter or any expert appointed by the government or other authority with jurisdiction, and every person assigned by a governmental body or any administrative authority to perform a specific task, and any person who works for companies or individual institutions that manage and operate public utilities or maintain them or do a public service, as well as everyone who works for joint stock companies and companies that the government contributes to their capitals and companies or individual institutions that engage in the banking business, as well as chairmen and members of the boards of directors of these companies.